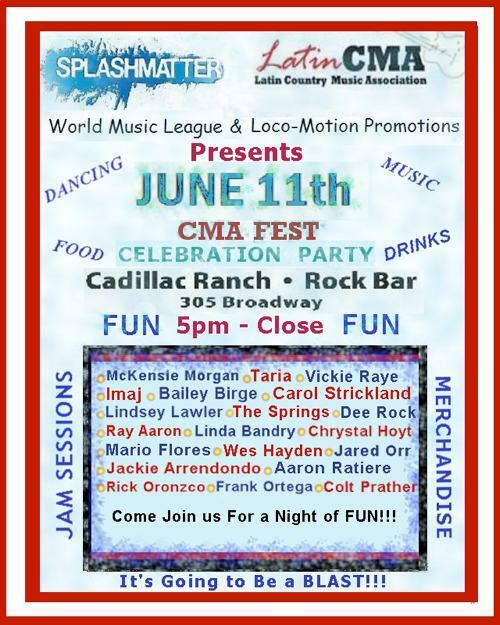 The Latin Country Music Association (LatinCMA) is promoting a concert tonight at Cadillac Ranch. See the details in the poster above, which indicate a 5pm start time, but according to a late e-mail update from Yanetd Herrera of the LatinMCA Membership Department, the music starts at 6pm, and the Hispanic artists are supposed to start at 8:30pm. If you really want to catch all the artists, perhaps the earlier you show up, the better. Cadillac Ranch is at 305 Broadway.